Last Tuesday, my friend Tamsen and my family joined me on a bowling adventure at Zone Bowling Coquitlam to take advantage of their 2 Buck Tuesday special. We had a blast. The highlight of our bowling adventure was when I scored a strike so epic that I broke my glasses in the process. No longer being able to see properly as only one of the lenses were still intact, I called for a celebration of my incredible moment by going to nearby Narita Sushi. Narita Sushi is a small Korean-operated Japanese restaurant that I had visited several times in the past whenever I needed a quick Japanese meal. 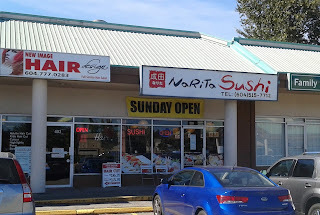 On previous visits, I have found the service to be friendly and efficient and the quality to be above average compared to the other Japanese restaurants in Coquitlam. 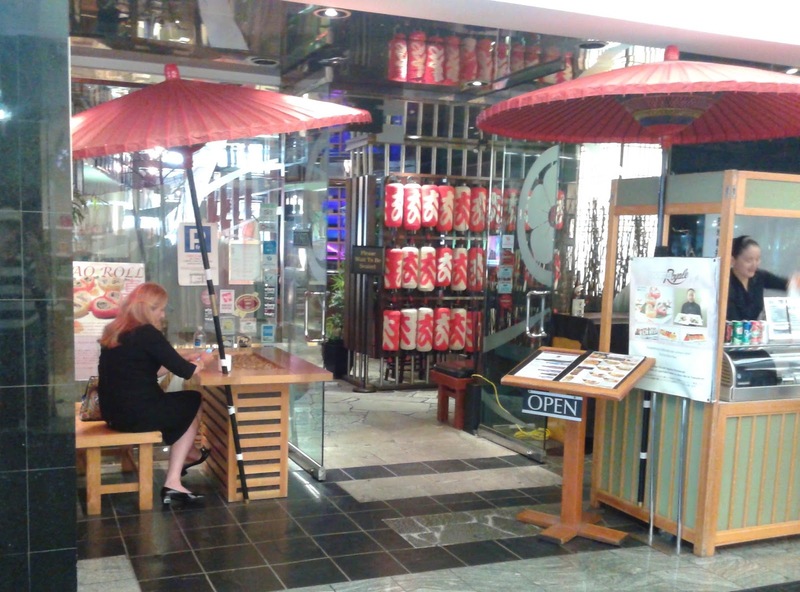 Due to its small size, the restaurant has difficulty seating groups with more than four people. If you're coming from the SilverCity across the street, take note of this discount! 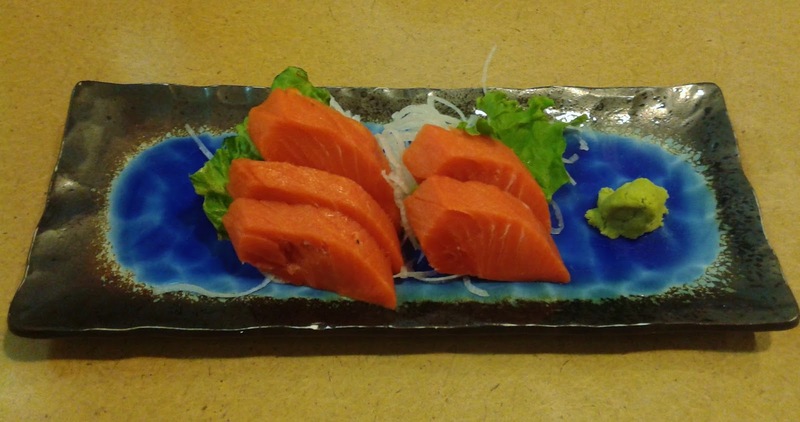 The first item to arrive was the eight-piece Salmon Sashimi. 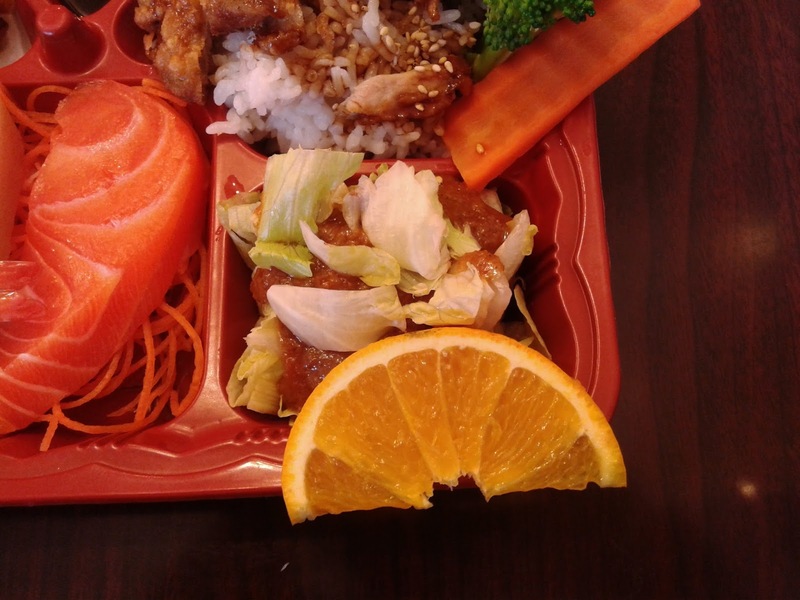 My mom kept complaining the pieces were too small, but I thought that the superior freshness of the salmon made up for the smaller cuts. The sashimi had a nice, smooth texture and a delicious, creamy flavour. 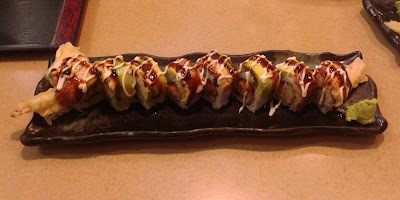 Next up was the Tuna Tataki Roll, which consisted of tuna, crab meat, avocado, cucumber, tuna tataki, and spicy sauce. 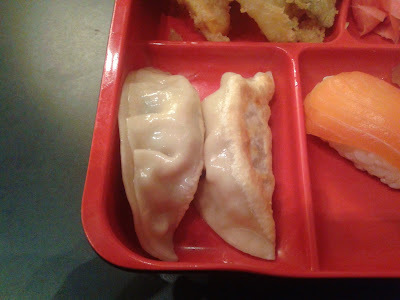 Again, the pieces were a bit smaller than I had expected, but I do not have a problem with small portions if the food is executed well, and in this case, it was. The tuna was quite soft and had a delectable tataki flavour that was accentuated by a drizzle of spicy mayonnaise. The chopped green onions provided a nice crunchiness to the roll. While we were enjoying the Tuna Tataki Roll, we were presented with a complimentary dish of Spring Rolls! I really appreciated this gesture, but unfortunately, the Spring Rolls were soggy and the pastry was a bit hard to chew. 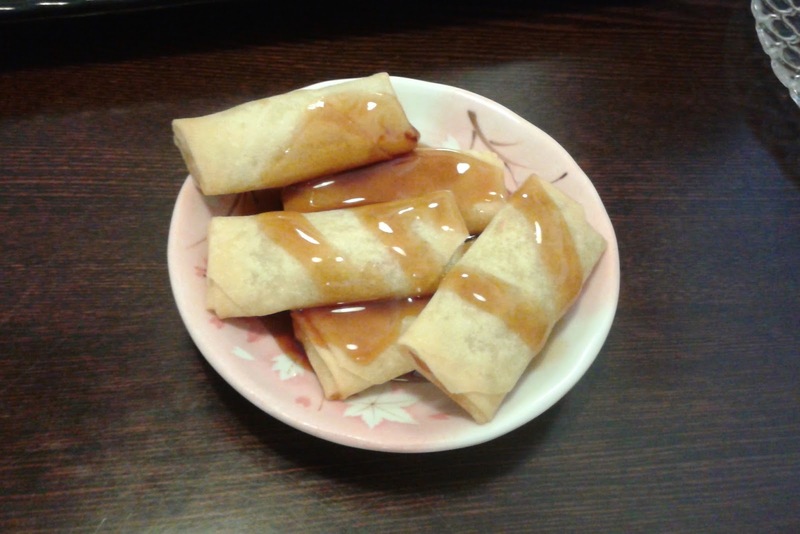 On the bright side, the teriyaki sauce helped to enhance the flavour of the meager amount of filling. 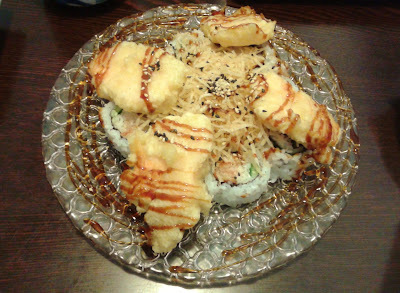 The Energy Roll consisted of crab meat, unagi, cucumber, salmon tempura, and potato crunch. 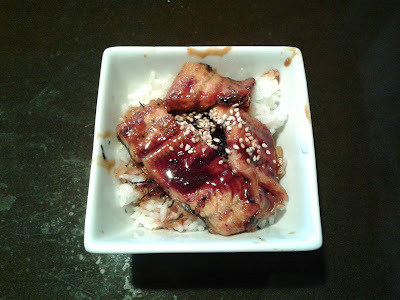 I liked the soft texture of the unagi, but the roll tastes a bit too salty if dipped in a normal amount of soy sauce. 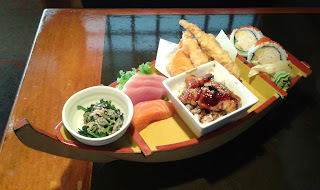 The salmon tempura was one of the better-executed ones I've had. 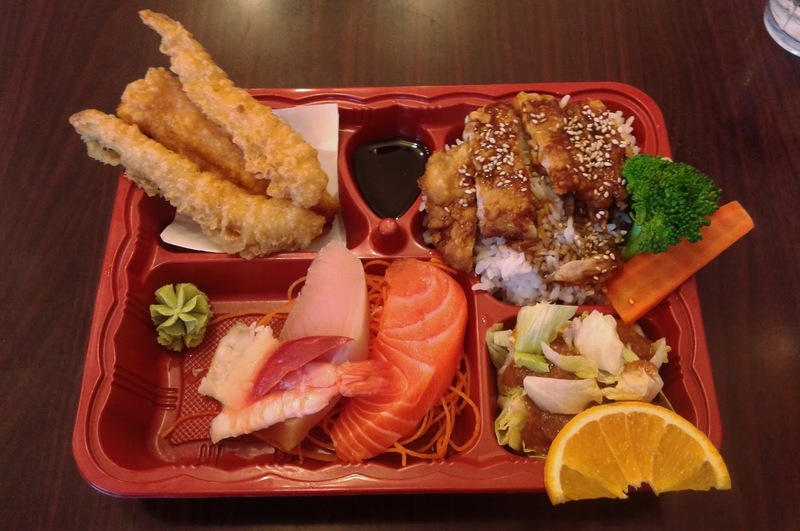 The salmon was juicy and moist, and the tempura had enough crunch, although it was slightly thick in places. 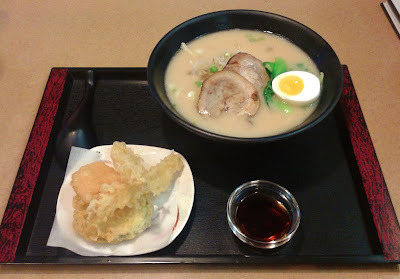 This was executed well on previous visits, but not so much this time. The deep-fried chicken was sufficiently tender, but the batter was too thick, making the Chicken Popcorn chewier than it was supposed to be. 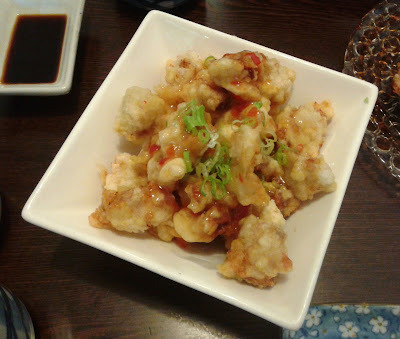 Flavour-wise, I enjoyed the slight spiciness of the sweet chili sauce. The Dynamite Roll tasted a little strange as the crab meat was much colder than the rest of the ingredients. 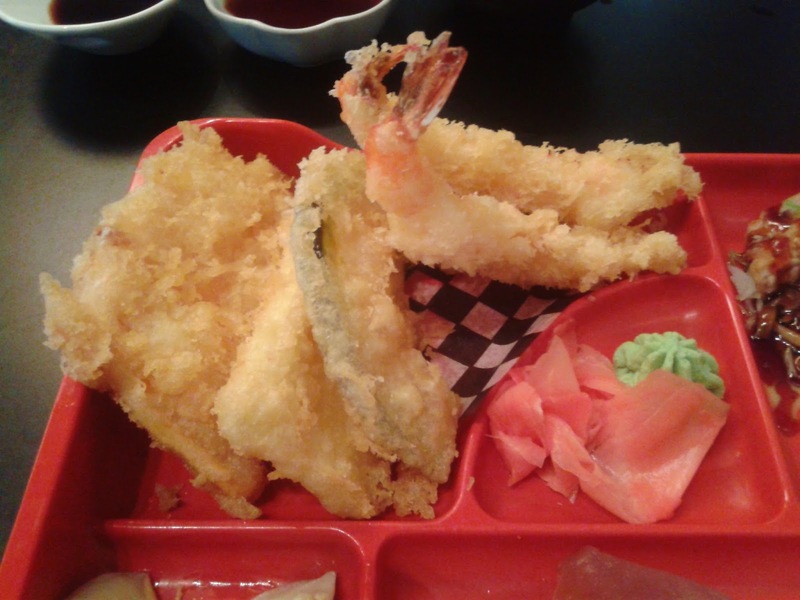 The prawn tempura was a little heavy with the batter, but the amount of rice on the outside was just right. At the end of our meal, we received a complimentary Orange Dessert! We all thought it was strange how there were only three oranges for the five of us until we noticed that there were actually five toothpicks. The oranges were sufficiently juicy but neither particularly sweet nor sour. 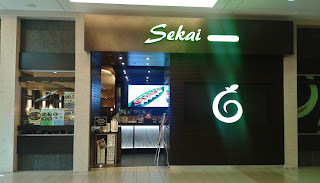 I found the quality of the food reasonable for the prices, but the service was quite disappointing. The waitress seemed really disgruntled the whole time, and it got to the point that some of us began to lose our appetites. Furthermore, our dishes were never cleared. With the exception of Le Crocodile, this was the worst service I have had at any restaurant this year. 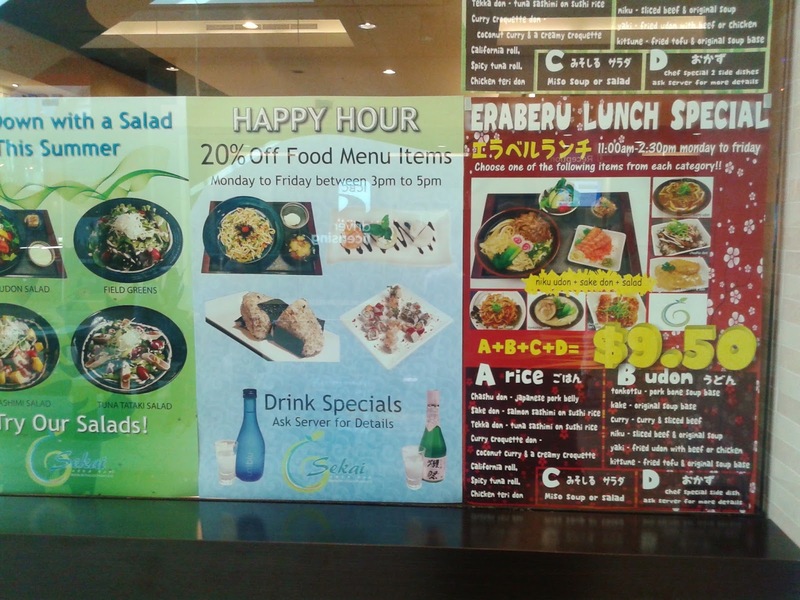 Without the complimentary dishes, our experience would have been quite a disaster. I can no longer recommend this restaurant due to the service I experienced during this visit, and I won't be returning either. 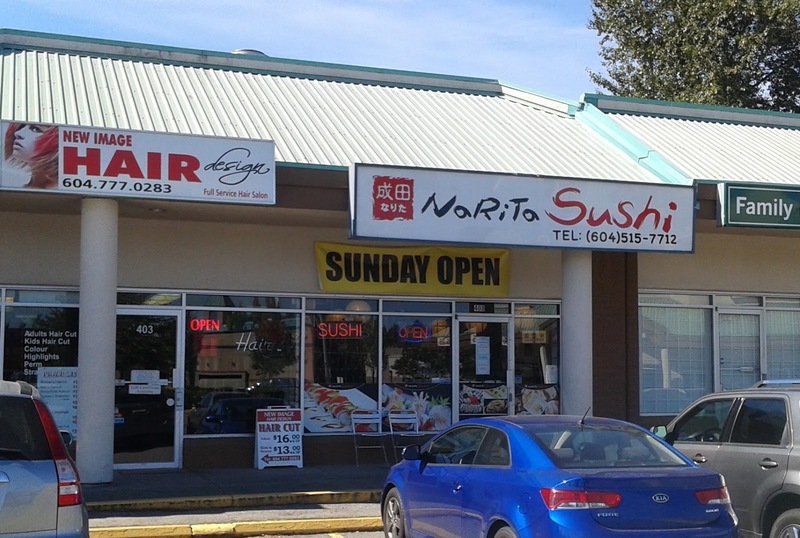 I know that there is a quest to make the best sushi in town, but apparently, there is also a quest to make the biggest sushi in town. 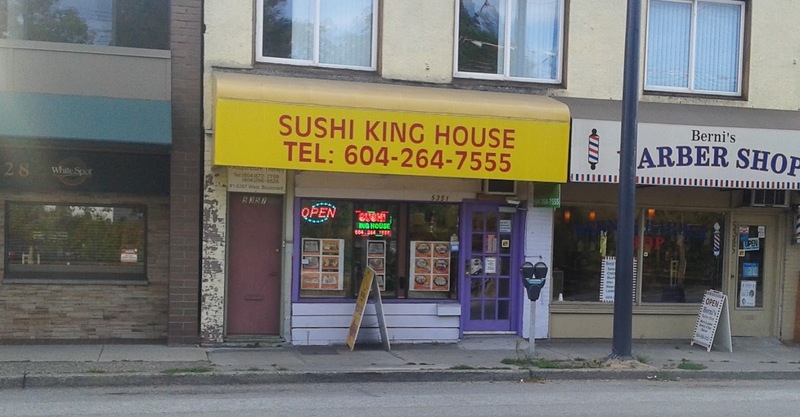 Today, I shall introduce you to Sushi King House, whose slogan is "The Biggest Sushi in Town." Of course, I wasn't going in with high expectations. 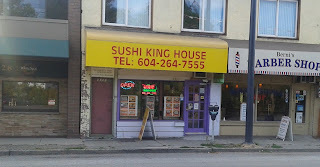 After all, it's a little hard to have high expectations for a restaurant that decides to use a dreadful combination of bright yellow, bright red, and bright purple as its exterior colour scheme. Sushi King House is a small restaurant chain with two locations in Vancouver and one in Surrey, and I chose to visit the one on West Boulevard out of convenience. This location was quite small and seated a maximum of 14 people in total. There were no diners in the restaurant when I walked in, but the Cantonese family running the restaurant seemed amply entertained by chatting with a family friend in the back. The first thing that arrived at my table was the Special Bento Box C.
The Tempura came with two prawns and one piece of sweet potato. The prawns were fresh and meaty, while the sweet potato was sweet and had enough moisture. The batter was crunchy, and although it was a bit thick, it wasn't as hard as I had expected based on appearance. 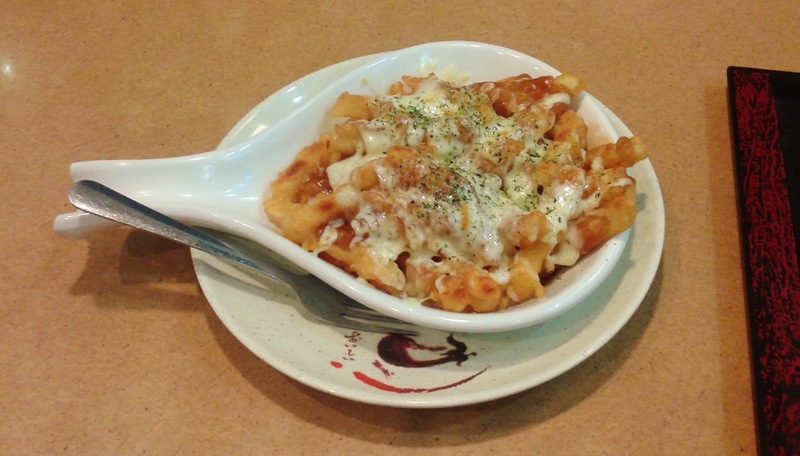 The frying oil, however, appeared to be slightly overused. The Chicken on Rice came with some flavourful pan-fried chicken. A slight sprinkle of black pepper and sesame seeds helped to enhance the flavour of the juicy chicken. The skin was crispy just the way I like it, though they could lighten up a bit on the salt. 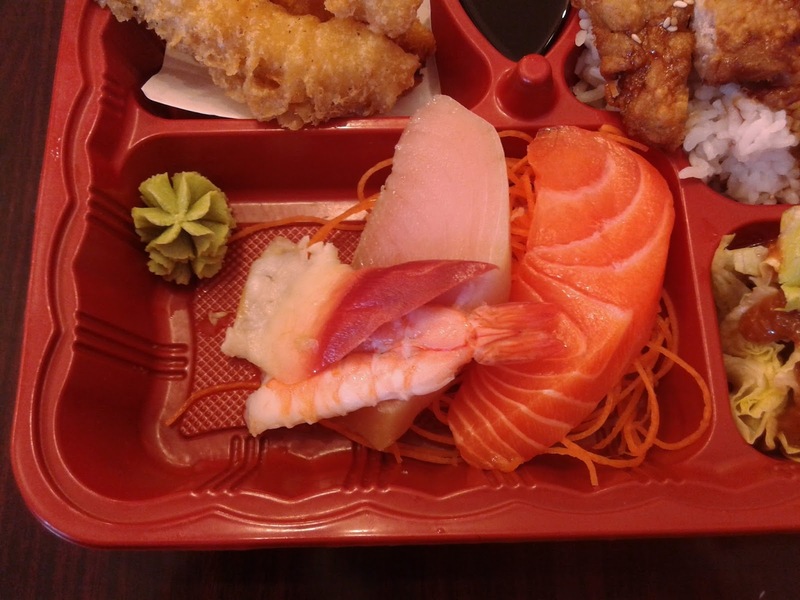 The Assorted Sashimi in the Special Bento Box C came with one piece each of hokkigai, ebi (shrimp), tuna, and salmon. The Hokkigai Sashimi was quite chewy, but it was weak in flavour. The Ebi Sashimi had a pleasant, sweet flavour. 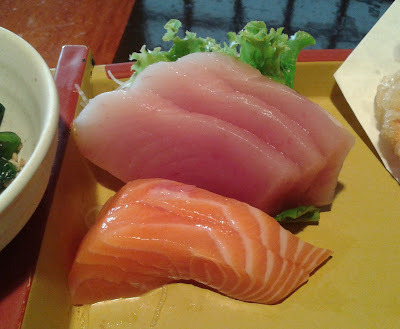 The Tuna Sashimi did not taste particularly fresh, but the portion size was extremely generous. Also humongous was the cut of Salmon Sashimi. 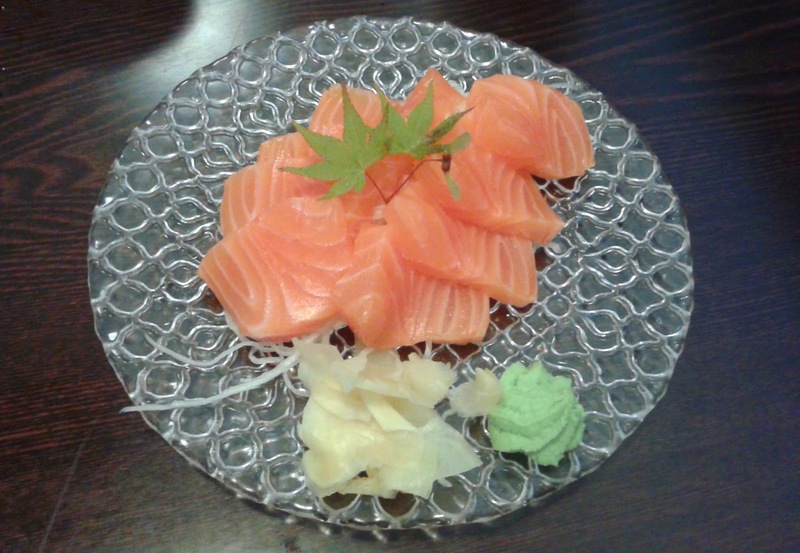 I enjoyed the smooth texture of the salmon, but it was also quite lacking in flavour. My favourite part of the Special Bento Box C was the Salad, which was dressed with a darker-coloured Japanese salad dressing that tasted almost as if there was a very slight amount of pesto sauce mixed in. 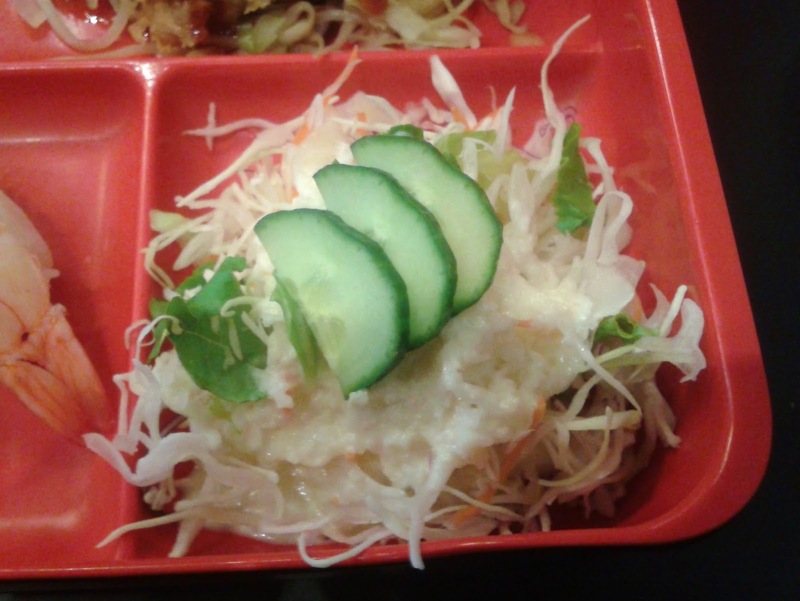 As a result, the Salad tasted quite rich in flavour. 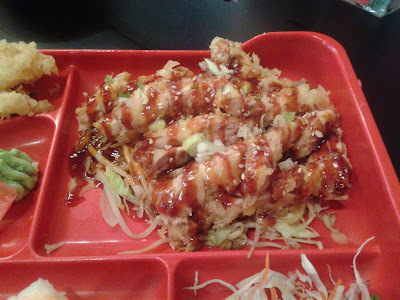 So many people seem to be having a wonderful vacation in Hawaii these days and I didn't want to feel left out of the fun, so I also ordered the Hawaii Roll, which came with pineapple, lettuce, cucumber, avocado, deep-fried tuna, and unagi sauce. Now, unless you are a pelican, it is pretty much impossible to eat one whole piece in one gulp. Each of the pieces were the size of a hockey puck! 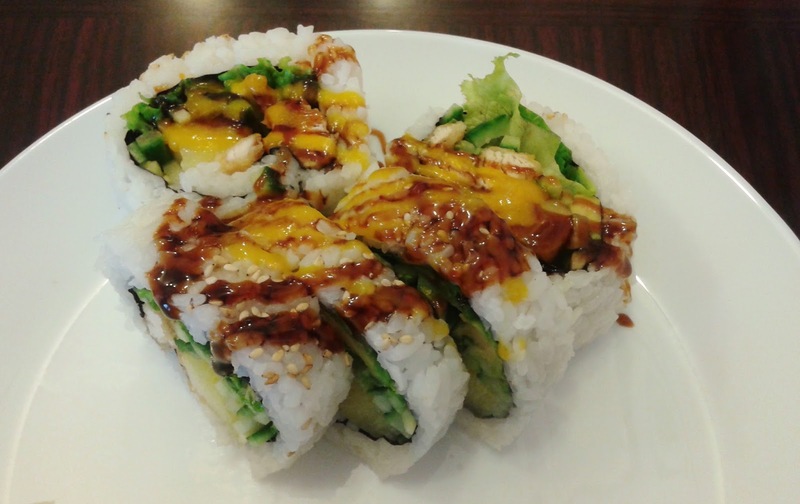 The juicy pineapple and the melty avocado were the best parts of the roll, but it was pretty much impossible to see what all the ingredients tasted like together due to the massive size of the roll. Like the Hawaii Roll, the Toro Nigiri was also colossal! One side of the toro tasted deliciously creamy and juicy, while the other side with the prominent vein was tougher in texture. I liked the dash of unagi sauce on top, which helped to enhance the flavour. 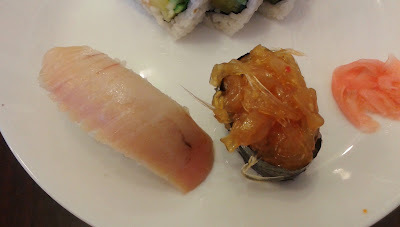 I ordered the Jelly Fish Nigiri out of curiosity, and I found the jelly fish on the softer side with an appealing snap. The jellyfish was rich in flavour with the help of a touch of sweet chili sauce, but the sushi rice needed more flavour itself. The waitress had a very friendly attitude, though she stayed in the back quite often. This was okay for me because otherwise, she would have nothing to do but stare at me as I eat (which would probably lead to some awkward moments). 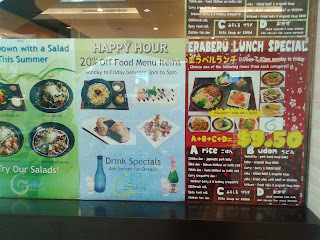 The food was better than I had expected for a restaurant that goes by size as its selling point. 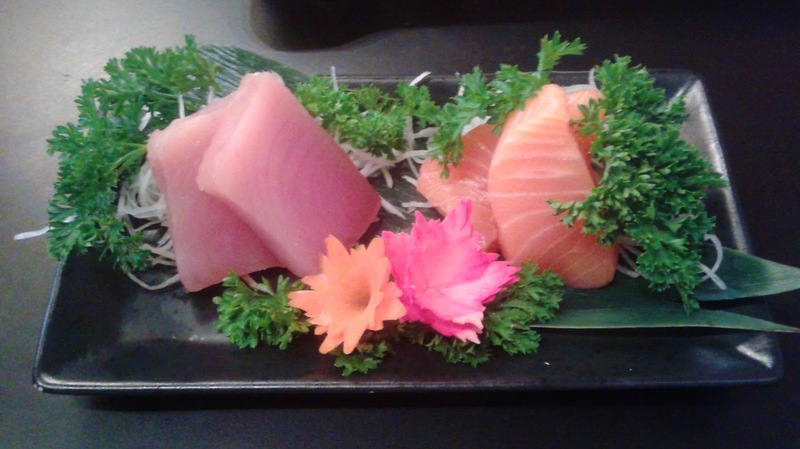 Many of the items were rich in flavour with the exception of the sashimi. Overall, Sushi King House does a decent job of what it tries to do, which is to serve large portions of sushi at very affordable prices. One fine morning, I woke up and got ready for a highly expensive and luxurious lunch at Fairmont Pacific Rim's RawBar. Out of convenience, I went to SFU to purchase my textbooks and pay my tuition for next semester prior to having lunch. I clearly did not think things through. First, carrying a backpack full of heavy textbooks into a fancy restaurant felt about as right as giving a formal presentation in my pajamas. 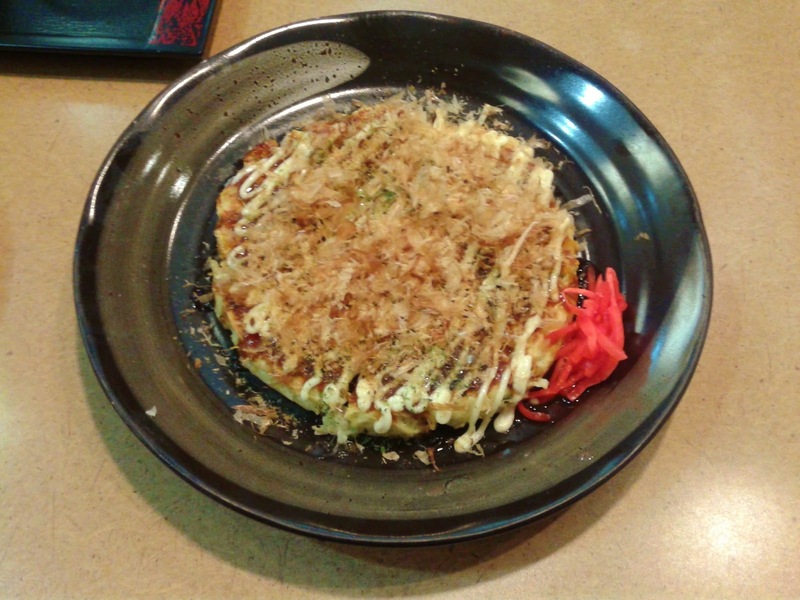 Second, I was feeling light in the wallet region after paying an arm and a leg for tuition as well as ten sushi adventures' worth of money on three textbooks. In the end, I lugged my bulky textbooks into Kamei Royale instead. 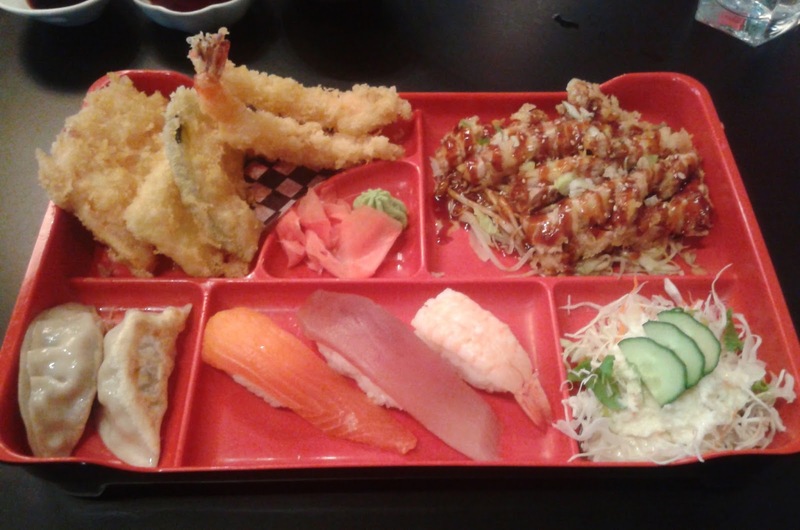 Kamei Royale is located on the second floor of the Burrard Building and is the largest Japanese restaurant in Greater Vancouver with the ability to accommodate upwards of 250 guests. The colossal dining area features bar seating, tatami rooms, and regular tables. 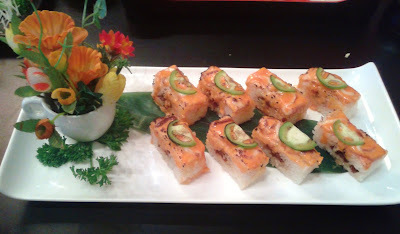 I would say that the ambience at Kamei Royale is my favourite among all the sushi restaurants I have been to. The noise level is just right, the amount of spacing between the seats is just right, and the amount of activity is just right. One of the things on my bucket list was to eat an entire boat of Japanese food all by myself, which I fulfilled by ordering the Unaju & Sashimi Boat ($17.95). This was actually easier to accomplish than I had previously thought. 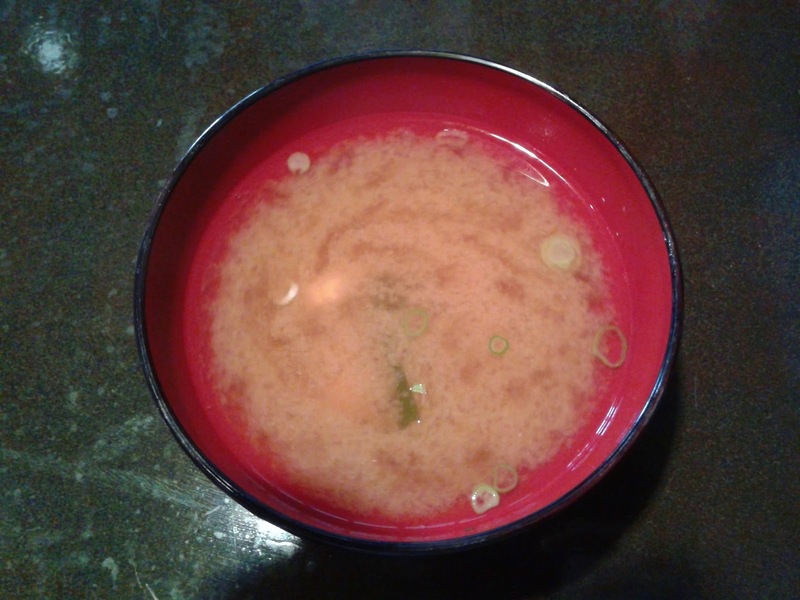 The Unaju & Sashimi Boat also came with a Miso Soup, which contained green onion, seaweed, and tofu. The miso paste was quite rich with a tasty seaweed essence. The Goma-Ae was less impressive and served with too little sesame sauce. Although the spinach was easy to chew, it tasted almost like plain spinach. The sashimi was very fresh and displayed superior knife skills. The salmon had a delicious creamy flavour, and the tuna was soft enough to melt in my mouth. The thickness of each piece was just right. This was the best part of the whole boat. Here's a fun fact: BBQ Eel on Rice is known as Unadon if served in a bowl and Unaju if served in a box. 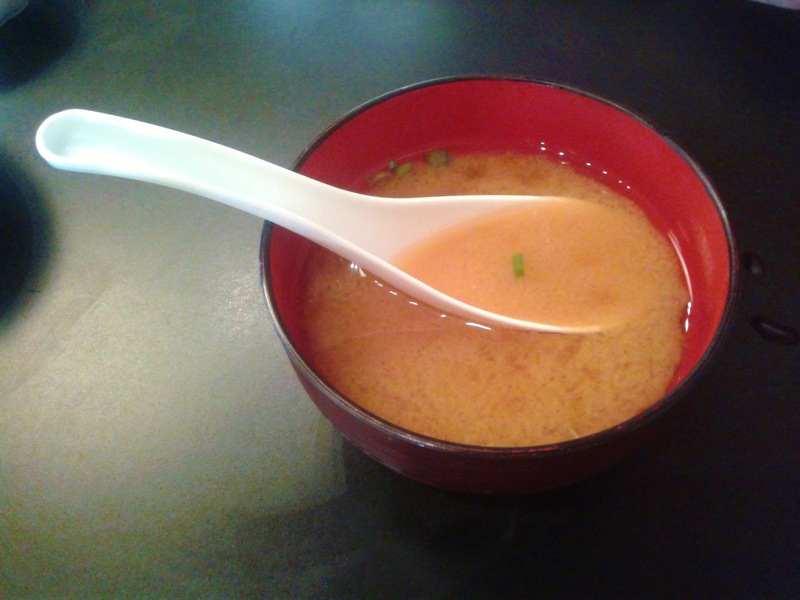 Technically, this one was served in a box-shaped bowl, but Kamei Royale went with Unaju anyways (as "Unajon" doesn't sound very Japanese). 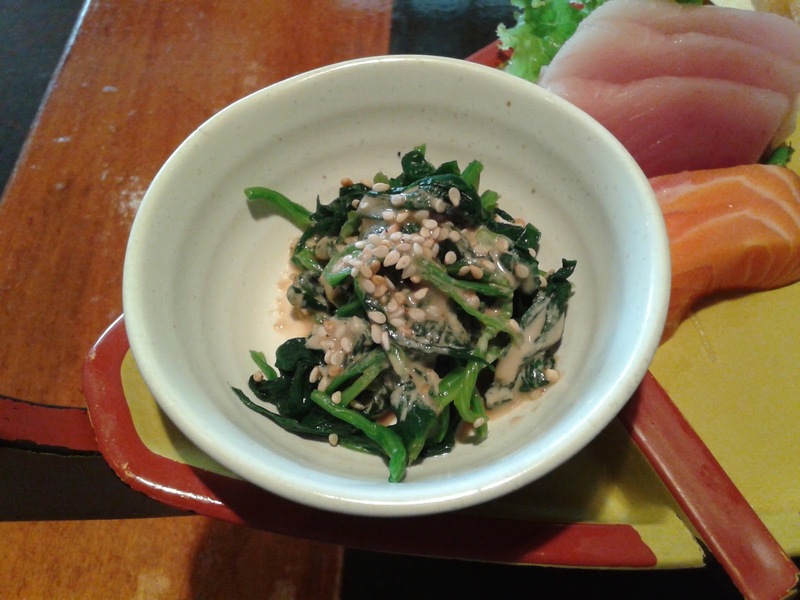 Naming aside, the BBQ eel had a soft texture and was savoury with the added seaweed and sesame seeds on top. 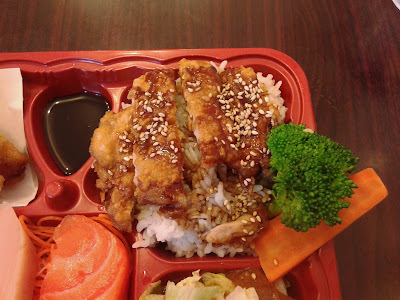 There was ample unagi sauce for the unagi, but it would be nice if there was a bit more sauce for the hot steamed rice as well. I really liked the dipping sauce for the Prawn & Vegetable Tempura, which was cleverly infused with minuscule pieces of radish to enhance flavour. 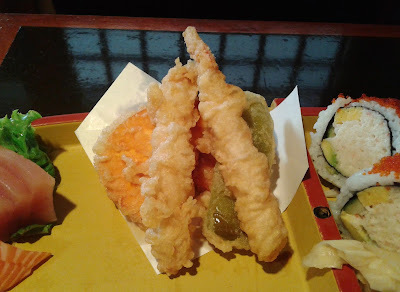 The Prawn & Vegetable Tempura itself consisted of two prawns, one piece of green pepper, and two pieces of sweet potato. The prawns were the best of the bunch. 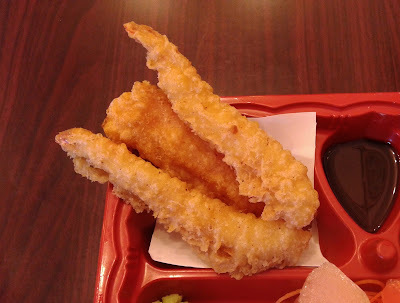 The main issue with the tempura was the lack of crispiness in the batter. The batter was soft like bread in most places but as hard as a crouton in others. 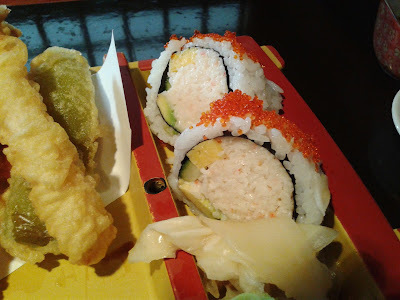 The final part of my lunch involved two gigantic pieces of the House Roll, which consisted of a ton of crab meat, tamago, avocado, tobiko, and cucumber. The imitation crab meat was sufficiently sweet with the correct amount of mayonnaise. I tried to eat one whole piece at a time, but my efforts were futile (each piece was about three or four mouthfuls for me). After finishing all the crab smithereens that fell out as I was eating the roll, I was nearly full and unable to finish another main dish. 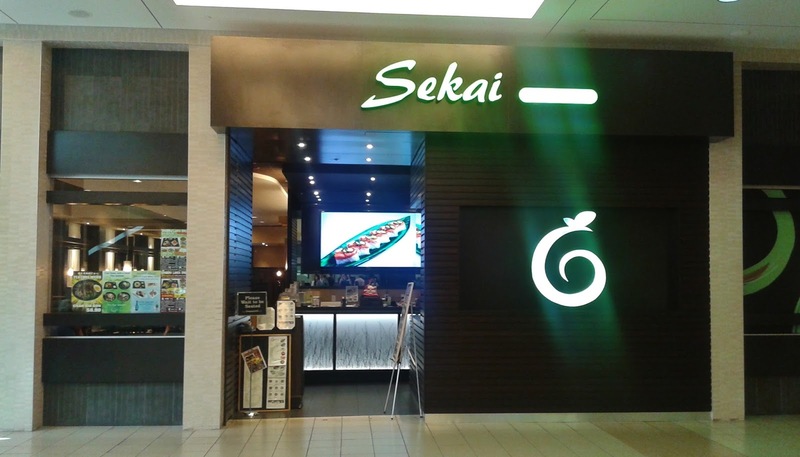 The service wasn't fine-dining quality, but it was friendly and pleasant. Overall, the food was decent (other than the tempura) and most of the prices on the menu were reasonable considering the location. 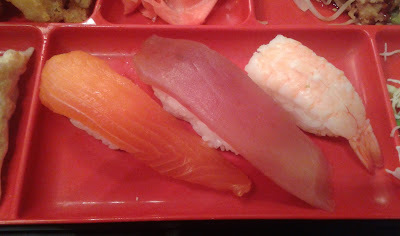 The only things that seemed very expensive were the nigiri sushi and sashimi if ordered separately. Now, with my mission to consume an entire boatload of Japanese food complete, I shall add eating a sushi boat for two all by myself onto my to-do list. Yes, challenge accepted!